For most of us, we spent at least three quarters of our lives indoors. While it’s nice to be able to create private spaces to feel safe and comfortable in stormy weather, living indoors is not without its dangers. Biggest among these dangers is the poor quality of air we (mostly) unknowingly breathe in, day after day. It’s difficult to detect and impossible to see the many pollutants that are often present in indoor air. That’s why we need to monitor the air we breathe with a device like the Foobot Indoor Air Quality Monitor | See On Amazon. Healthy air is vital to healthy living. Polluted air has been attributed to long-term illnesses such as COPD, asthma, and even cancer. But unhealthy air also effects everyone to varying degrees. For instance, it contributes to things like colds and flu, allergies, decreased focus levels, and a lack of sleep or poor quality sleep. You could always hire an expensive professional to test and assess your home’s air quality. But an indoor air quality monitor is a much less costly option. The Foobot is a small and compact rounded device measuring approximately 2.6 inches by 3.1 inches by 6.7″ high. But it’s a powerhouse in terms of what it can do. In short, it reveals the up-to-the-minute truth about the quality of your home or office air. 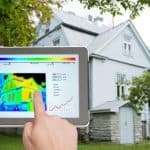 It takes something that you cannot see with the naked eye – indoor air pollution – and turns it into a tangible thing that can then be addressed by various measures like opening a window, removing products like paints from a storage shelf, or plugging in a quality air purification system. In terms of smart connectivity, the Foobot works with Amazon’s Alexa, Nest products, and IFTTT – a free online site you can use to set up specific triggers for other “smart” appliances and accessories. 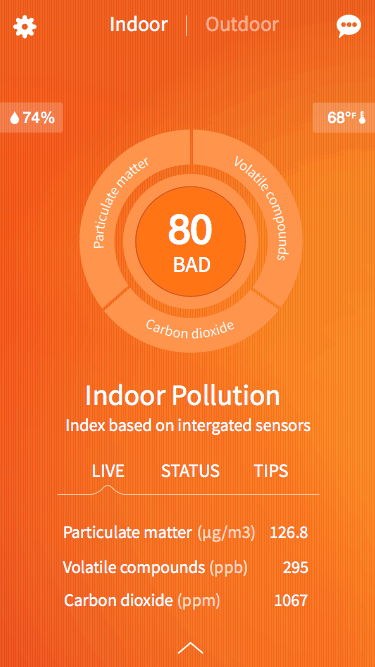 The Foobot tracks indoor pollutants – including particulate matter and VOCs. It also monitors humidity and temperature. In short, it gives you a an assessment of your indoor environment at any moment in time – 24/7. That alone makes it an interesting acquisition. But you can also set up your Foobot to trigger other devices such as your heating system, or air purifier whenever pollution levels increase beyond a certain level. 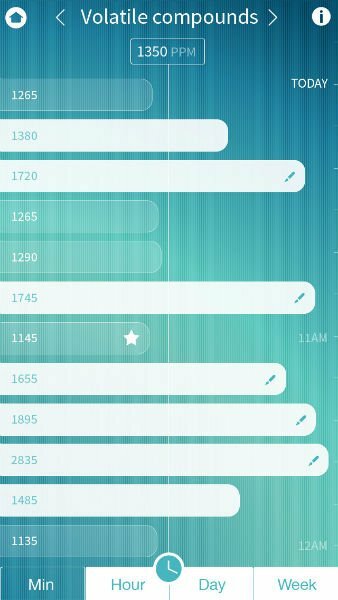 Foobot records all of your data from day one. This gives you a history to analyze and detect changes or trends. It also shows you how effective your other equipment is in countering any indoor air problems. The Foobot Indoor Air Quality Monitor also provides actionable tips you can use right away to improve your indoor air quality. Step number one to achieving healthier indoor air is to get a handle on that air and see exactly what’s in it. Step number two is to take action to get rid of any pollutants that exist. You can’t fix something you don’t know is broken. So monitoring the indoor air gives you a baseline of where you are currently. 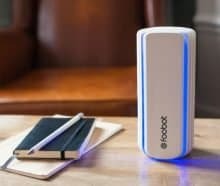 Having a device like the Foobot connected to other “smart” devices such as a Nest ventilation system or quality air purifier, makes life a whole lot easier. You simply set up your Foobot and allow it to detect any problems and trigger other equipment to counteract the threat. There are numerous things that can affect the quality of their at home such as materials used in construction, the finish on the floors, chemically-treated furniture, cleaners of any kind – even using tissues can stir up plenty of dust. The hidden beauty of a quality air monitor is that it delivers accurate data. It transforms something that’s mostly invisible and undetected into a tangible problem that can now be properly addressed. Smart connectivity makes it easy and automatic to manage. Like all air monitors, the Foobot is a sensitive device that needs periodic cleaning. It’s recommended that you use the same kind of cleaner you would use on your computer monitor. Don’t spray the cleaner directly onto the device, however. Put it on a dry cloth first and then lightly wipe the cloth over the device. You can use this anywhere since the Foobot operates on a standard 110 V outlet. But it must be plugged in at all times in order to continuously measure the air quality. It seems that at some point during the design and evolution of the product, the industrial engineers working on Foobot decided it was better to get results over time, rather then temporary “snapshot” results provided by a battery operated device. This was done to provide more accurate results and data over the long haul – to give the consumer a more accurate representation. The Foobot is capable of detecting volatile organic compounds – dangerous chemicals including toluene, butane, methane, ammonia, and benzene, and formaldehyde. It also can detect particulate matter like pollen, pet dander and dust – as tiny as 2.3 microns in size. It does not give specific details for each individual chemical or element but merely groups them into a overall total for VOCs and particulate matter. When the threshold of safe indoor air has been crossed, you will receive a warning on your smart device that the indoor air pollution has risen. Overall, the Foobot seems to be an informative and responsive piece of equipment. It sends out alerts promptly, so you can take care of any issue straight away. The Foobot operates silently and continuously. It’s a “smart” device that’s compatible with Amazon Echo, Nest Thermostats, and IFTTT. this makes it particularly useful for many people. You can also adjust the brightness level of the LED lights to suit. It’s these lights that indicates at a glance, the quality of your indoor air at any point in time. What’s particularly good about the Foobot is the degree to which it can help you maintain healthy indoor air through automation – so you don’t have to think about it constantly. 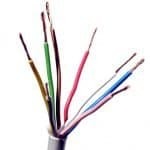 A common complaint heard online involves connectivity. Some buyers report having had difficulty connecting to their network or keeping the device connected. I suspect that this is more of a network or router issue. But people automatically assume it’s their new product for one reason or another. Another potential problem is that the accuracy of the readings is sometimes called into question because of wild fluctuations. This may or may not be an issue with the device or software. 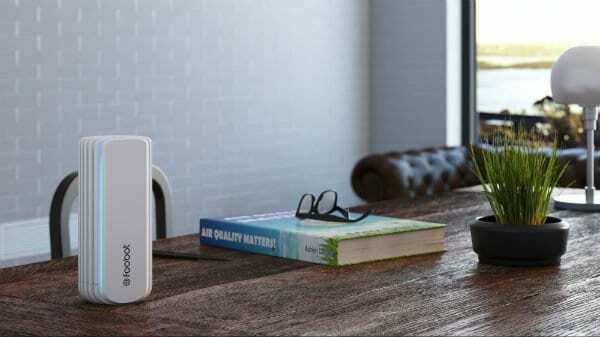 This device, as with all these consumer consumer-grade air monitors, lumps problem air into two major categories – VOCs detected and Particulate Matter detected. It cannot identify specific compounds or particles, so you may have to do some investigative work on your own. Most of us take our air for granted. It’s true. But without a device like the Foobot, we don’t really know what dangers exist. Yet the air you breathe plays a huge role in you and your family’s overall health and well-being. It’s something most of us don’t give enough attention to until someone in the family develops a respiratory problem. Foobot helps you to monitor your air automatically and become better informed about it. This in turn enables you to be more proactive about the situation and to take more control of your air quality.